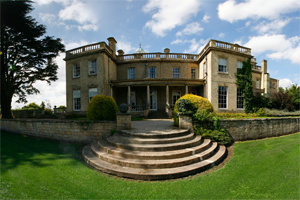 For over 60 years Brackenhurst has been providing an immersive educational experience for those fortunate enough to study here (read more about our history). Many of our former students have a great affection for Brackenhurst and very good memories of their time here. They leave transformed for the better, and having made friends who will stay with them for life. Much has changed over the years, but the need to maintain the heritage of our campus and maintain the excellence of the student experience is still one of our fundamental aims. We have many plans for the future which you can help with! We are building a new library at the centre of the campus. Designed to be an eco-friendly study space, the new library will bring a variety of resources to our students which aren’t easily accessed at present – books, journals and internet resources plus group study rooms for project work and an increase in the innovative use of computers within the learning environment. As the new library is designed with space for informal meetings it is our hope that the library will be transformed not only into a hub for academic activity, but also a social gathering place for students for the years to come, enhancing the community feel of the campus. We plan to provide scholarships for talented students from low income backgrounds. Donations from alumni have enabled the University to make several awards to students studying a range of courses. These scholarships are targeted at students who come from low-income backgrounds – ensuring that those most in need receive support. The video inset is from a scholarship student from another subject area who benefited from a similar £1,000 award. It is our hope to expand this scheme by providing a greater number of scholarships to students who are studying at Brackenhurst. We look forward to reporting the success of this scholarship scheme in the years to come. We are continually working to improve the conservation of the historic gardens: by renewing the Walled Garden with the help of the Friends of Brackenhurst, by replanting the Rose Garden through the generosity of two BOSA members and by liaising with the District Council to create opportunities to enhance the whole site. Making a Personal Donation - You can make a personal donation to one of the projects above by setting up a direct debit or making a single donation. Make a donation online now, or download a donation form. If you have any questions about making a personal donation (including the tax implications) then please email Stephen Knott, Alumni and Community Giving Officer. Telling your Friends - We have contacted many of the alumni we know studied at Brackenhurst but we are aware that we aren't in contact with all of our graduates, and the earlier you graduated the less likely we are to be in contact with all of your classmates. Keeping in touch with our alumni is important to us for many reasons, including the fact that you are the best ambassadors that the University has. To help your friends update their details, please send them this link - www.ntualumni.org.uk/update. They can then update their details to ensure that they receive the latest news from us, and they will also be able to give online to any of the projects at Brackenhurst if they wish. If you have any further questions about these projects at Brackenhurst or the work of the Development and Alumni Relations Office please contact Stephen Knott, Alumni and Community Giving Officer via email or call +44 (0)115 848 8807.